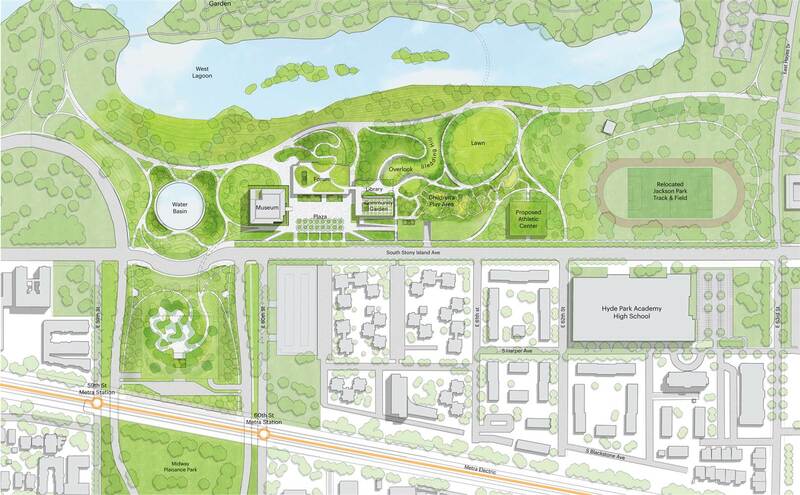 After making its way through local approvals, the Obama Presidential Center (OPC), proposed for Jackson Park on Chicago’s South Side, will now face its first round of federal review. Set to take up over 20 acres of the Frederick Law Olmsted and Calvert Vaux-designed park, the future of the OPC is now in doubt after becoming entwined with the merger of the nearby Jackson and South Shore golf courses. Because the two projects would monumentally alter usage patterns in the historic park, an environmental review process has been triggered for each proposal under both the National Environmental Policy Act (NEPA) and the National Historic Preservation Act (NHPA). Beginning this Friday, December 1st, and continuing for an unspecified length of time, the review process will open a series of meetings for the federal government and the relevant agencies to evaluate the OPC’s environmental impacts. Designed by New York-based Tod Williams Billie Tsien Architects and Chicago-based Interactive Design Architects, the current plan for the OPC divides 200,000 square feet across a museum, forum, and library all arranged around a central plaza. Controversially, a recently-announced above-ground parking structure will eat up another five acres of green space. Charles Birnbaum, president and CEO of The Cultural Landscape Foundation, told the Hyde Park Herald that the review would bring much-needed transparency to a process that should consider any changes to the park as parts of a whole. “All of these when taken together represent a radical change in the park that was listed on the National Register,” said Birnbaum. It remains unclear how quickly the OPC will make its way through the federal review process, or what changes the government may require. Previously, approvals were handled by the city of Chicago under Mayor Rahm Emanuel, who many felt was fast-tracking the project along. But the inclusion of federal and state-level regulators in the process is a new wrinkle. 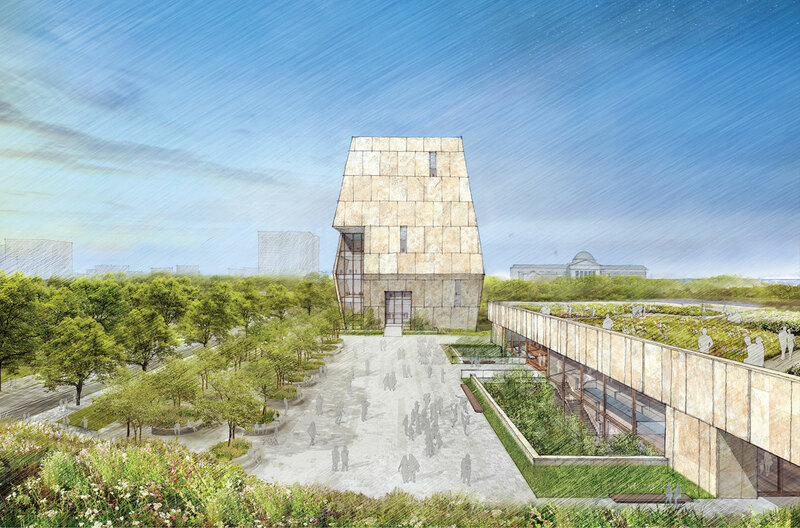 Despite the increased scrutiny, the Obama Foundation is still aiming to hit its target of submitting plans for the project before the end of the year. More information on how NEPA and NHPA will affect the Presidential Center, and what environmental considerations are being taken into account, is available here.